Hopeless dreamer, Caelie has always believed in the magic of true love and always loved the beauty of the written word. Not so long ago, she took a wonderful plunge and released her first steamy, romantic love story. When she's not scribbling on a notebook about new characters, you can find her listening to country music or taking a walk by the river on a sunny day. 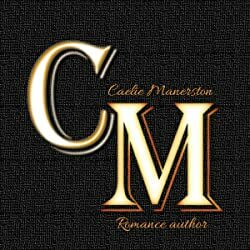 Please enter your email address and click the Follow button to follow Caelie Manerston!